More buyers than sellers plan to get into the property market over the next year and that will contribute further to a serious shortage of properties to buy, a new report warns. Realestate.co.nz and Horizon Research have surveyed nationwide buyer and seller intentions for the coming year and the research shows 6.4% of those surveyed are definitely looking to buy. But, at the same time, just 2.8% of those surveyed are definitely looking to sell over that period. That represents a significant number of properties currently not on the market, she says. "Even taking into account new builds which are underway and not included in these numbers, there will be an increasingly serious shortage of properties for keen buyers." Auckland is facing the biggest increase in pressure, with those looking to buy up to 9.5% from 6.9% in November 2017 and those intending to sell down to 2.6% from 4.3%. Taylor says this represents a widening gap between definite buyers and definite sellers. “In November, the shortfall between definite buyers and definite sellers represented around 9,000 homes. Of the six local government areas surveyed, only Tauranga City had more sellers (3.9%) than buyers (1.0%) intending to be active in the next 12 months. 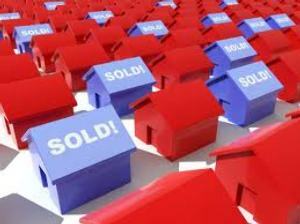 Meanwhile, Realestate.co.nz’s monthly data shows the national market remained relatively stable in May. The Auckland region saw a year-on-year fall of 4.4% in new listings. This pulled down the overall national number of new listings, but it was balanced by a lift in new listings in 13 of the 19 regions. At the same time, the national average asking price dipped by 0.4% from April to $648,218 in May. While asking prices were relatively static nationally, record average asking price highs were recorded in five regions (Wairarapa, Gisborne, Central North Island, Coromandel and Hawkes Bay) in May. Taylor says it paints a picture of more choice and stable pricing in modest terms. ASB economists say the data shows that total inventory levels remained steady in May – although inventory levels remain very low in a number of smaller regional centres. “While the Auckland housing market is likely to track sideways, regional house price growth will remain supported by low levels of inventory relative to demand,” they say.